As long as you have the right antenna set-up, all homes in Mudgeeraba should be able to receive free-to-air television without any problems. But, if you don’t have the right antenna for your home, or your current antenna needs replacing, you may start to experience problems with your television signal. Mudgeeraba is a large suburb, and with the hinterland to the west, it is certainly possible that some homes will experience an interrupted signal, especially during storms or high wind events. If this is the case for you, it is even more important to ensure you have the right antenna to get you the best signal. We’ll check that your antenna is in good shape and is pointed to the broadcast tower. If there are still issues after this, we will discuss the next steps which could be replacing your antenna or installing a masthead amplifier to help boost your signal quality. We don’t recommend installing an amplifier without seeking professional assistance. Installing one incorrectly or without needing to can cause a variety of issues including making your television signal worse. You could also potentially interrupt signal to your mobile phone and any radio communications systems. Home Style Antennas offers a 10% discount to all new clients. We also work with you to book an appointment at a mutually appropriate time which allows us to run through any issues with you in person, making sure you are happy with your new signal before we leave. 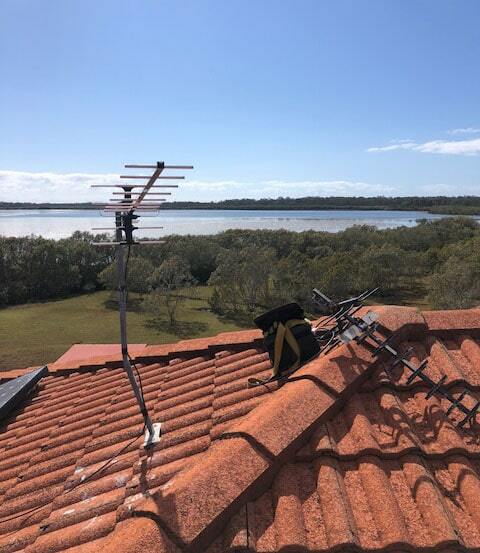 If you’re having trouble with your television signal in Mudgeeraba, call Home Style Antennas, the local Gold Coast antenna specialist. We can consider all the options available to you to ensure you have the best signal possible at your Mudgeeraba home.